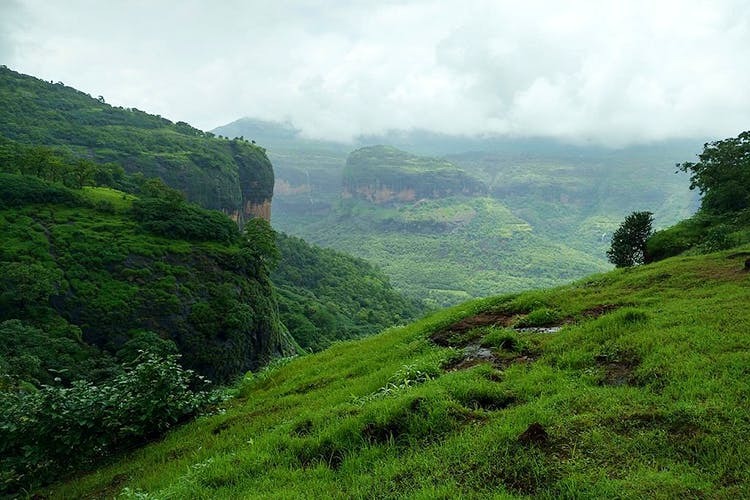 Ditch the humdrum of city-life and go on a dark forest trek to Andharban in the Sahyadris and witness the enticing vastness of green lands covered in all kinds of multi-hued flora, big tall trees and clumps of olive moss. Andharban, as the name suggests, means a dark dense forest. It’s a daylong monsoon trek that begins at Pimpri dam. Throughout the journey, you have to gradually descend down the slope of the forest cover whilst enjoying the spectacular views of the Kundalika Gorge, Tel Baila Fort, Bhira Reservoir and the mountain ranges of Taminighat. The trek is fairly simple, safe and is divided in to two halves. The first six to eight kilometers of the trek is about walking down the juniper green covers of the forest. The second half of the trek further descends down the slopes of the Konkan to reach Bhira. The waterfalls and the cascades on both sides is perhaps the most magnificent sight ever known! If you’re in for an adrenaline rush, go for a white water river rafting in Kundalika. If you’re well-versed with the route, drive down to Pimpri dam and begin the trek with your gang. However, it is advisable to enroll with a travel group. Trekroots in Shivajinagar organises the activity for INR 750 per person that includes transport, tea, breakfast and dinner. Treks and Trails India does it for INR 1,300 per person and includes a maximum of 30 participants. Do check out other groups like the Foliage Outdoors in Kothrud and Sahyavede Adventures & Outdoors in Sadashiv Peth. Don’t forget to carry a haversack, a wind cheater, extra pair of clothes, torch and medicines. Wear canvas or sports shoes!